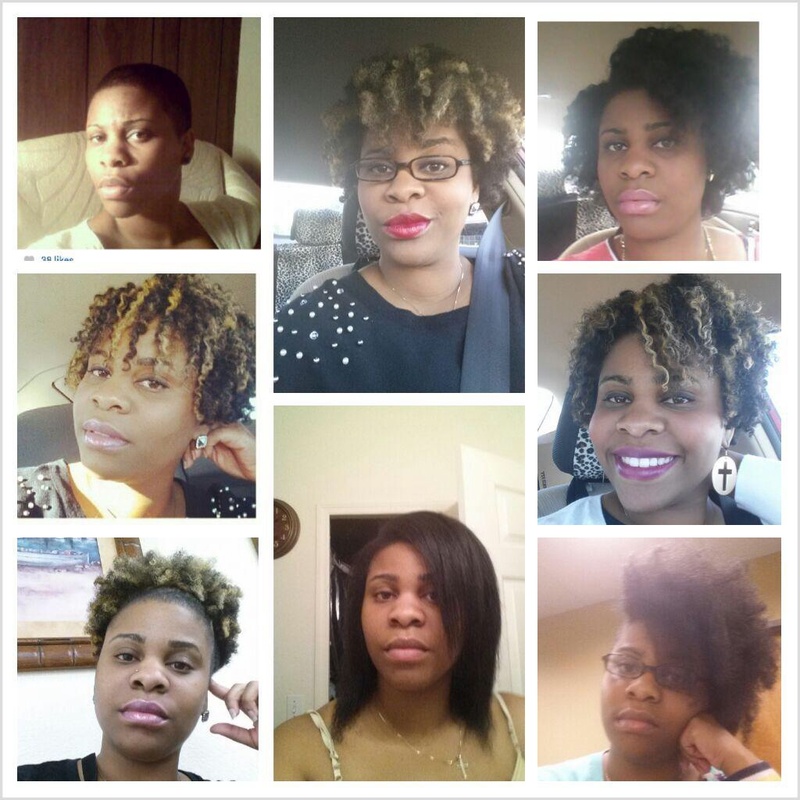 My name is Morgan (Morgan_Tyler_) , I am currently natural and have been without a perm since about age 16 but I decided to go completely heat free in November of 2012. Being that I was natural but was straightening my hair every two weeks I had a massive amount of heat damage. My first thought was not to do the big chop but just to let it grow out and keep training it by doing protein treatments to make those horrible heat damaged pieces revert and look like the rest of the curls on my head. I wanted to keep my bra strap length hair!! Clearly, I was in denial because those pieces were dead and never coming back. For about 6 Months I did twist outs, wash and go’s, and protective styles hoping that I would not have to cut my hair. After seeing change but still having those pieces ruin the whole look of my hair I got fed up , Washed my hair and cut any straight pieces I saw off!. Big NO NO!!! Rule of thumb never cut your own hair if you do not know what you are doing!! This was me, granted my curls and wash and gos looked so much better because I did not have those awful stringy pieces at the end of my curls but when I tried to straighten it one day it was noticeably uneven. Finally, after lots of procrastination and trying to hold on to the length I had, I went to the hair salon and had an awesome cut done. I love my cut and I now go back and forth from curly to straight. One thing I can say is that if you are going curly and you have heat damage DO NOT prolong the the cut. If I would have done my cut when I first started I would probably be closer to my hair goal. Lastly embrace YOUR curls and BE PATIENT!!! (Something I struggle with) Everyone has a different texture and pattern so learn what works best for you and rock it !!! This entry was posted in Texture Spotlight. I decided to go natural 6 years ago mainly to strengthen and thicken my hair. The length was a plus because I just wanted healthy hair. Flex rods are my go to protective style as well as the occasional sew-in, though I wouldn’t recommend you leave it in for too long. Being natural taught me patience, growth and overall love. Before the beginning of my natural hair journey, I was so frustrated and stressed with hair breakage that I went natural. I definitely educated myself by using YouTube, blogs, and natural hair books to maintain healthy hair. Almost 2 years later I’m still in love with my natural hair! Going natural means different things for different women. For me, it meant learning to fully love and embraced myself. I was natural for 4 years before I decided to BC. 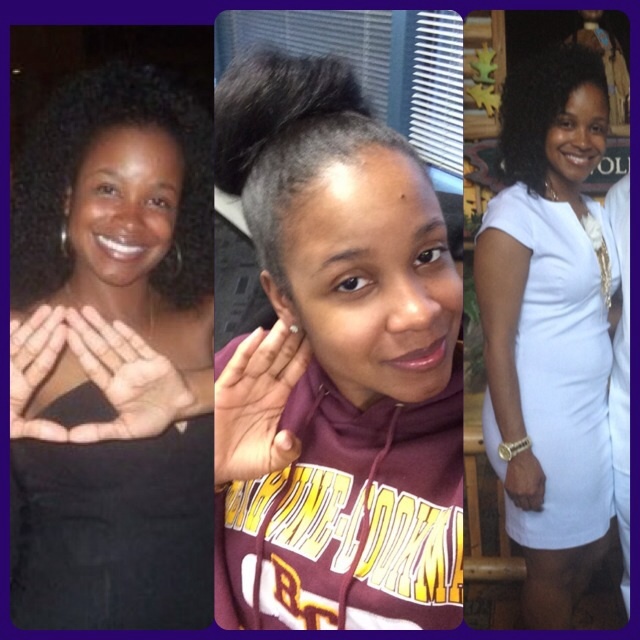 The first 4 years of my natural hair journey, I wore my hair pressed out. After playing around with a few “natural” styles, I decided to cut it all off and start over. 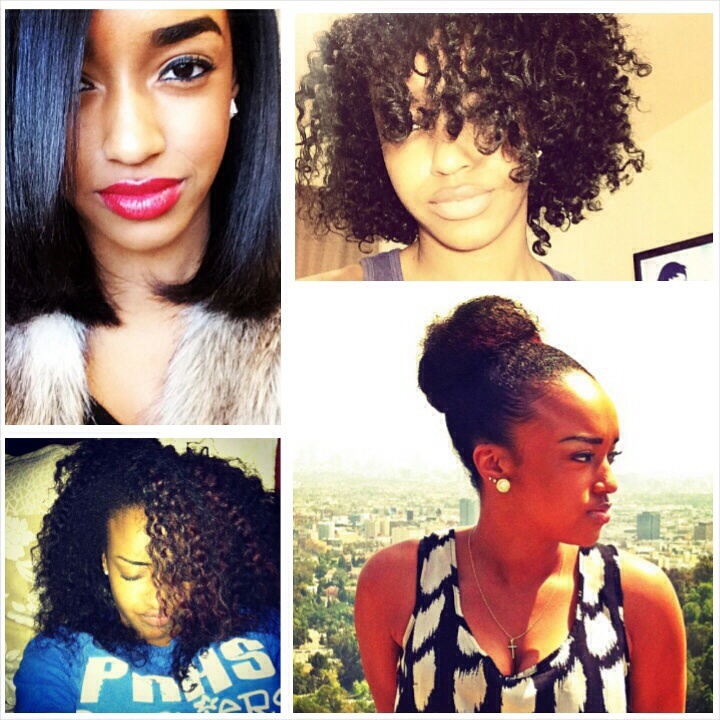 January 2014 made 2 years of my “new natural hair” journey and I have loved every minute of it. My hair is now longer and thicker than it has ever been and I’m excited to continue to watch it flourish. Why did I become natural? I have gotten relaxers since before I can remember. When a lot of my friends began to go natural, I was still holding on to my relaxers!!! I am not into following trends and I did not want to turn into some product junkie! 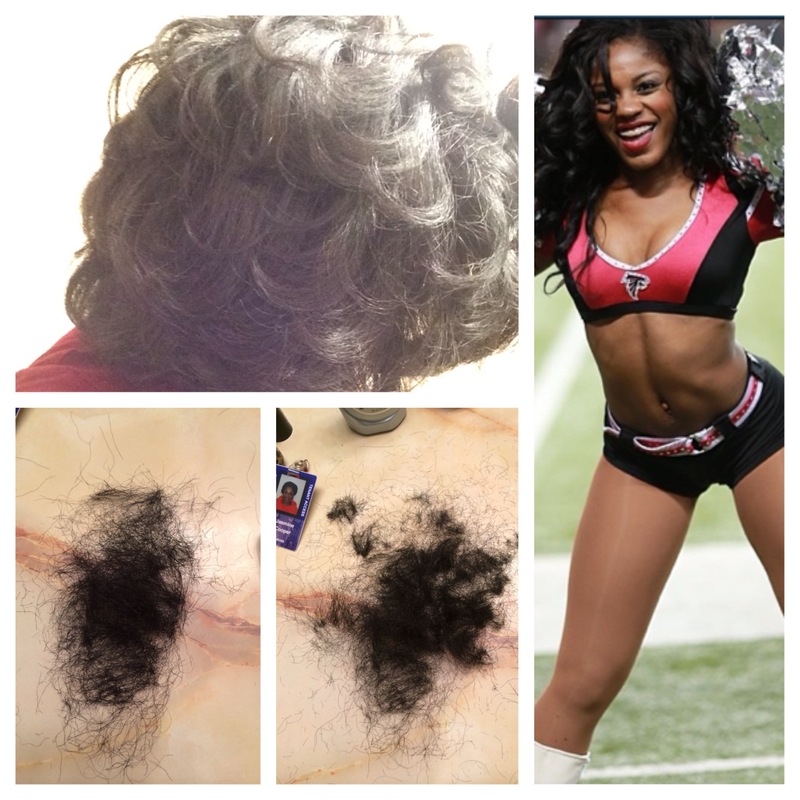 My hair was extremely thick with relaxers and I was not interested in discovering what it would take to keep up without a relaxer. I had no desire to go natural. I also loved the “bone straight” appeal that my hair had with a relaxer. Of course I did not enjoy those scabs, my edges breaking off, and that stage where “ I need a relaxer but it’s too early to get one” but the other choice was to shave off my hair (So I thought)- and that just would not fit me. I am a performer so on many occasions I would get sew-ins for that extra “UMPH” and “Whip appeal”. One thing that I would hate to do to my hair is relax the section that is being left out and leave the rest alone. Although that was the “better” option, it just didn’t seem like it would help my hair. When I would get braids, I would never keep them in long because they would put a strain on my edges. I definitely cannot walk around with blotchy edges J So, I was told that you don’t have to cut your hair off and you can let it grow out and cut as you go. That seemed common sense, but I do not know where my head was. I guess following “THE BIG CHOP” trend that seemed to be growing. So I decided that I would just keep sew-ins and not relax my hair! My 24th birthday marked my last relaxer! The first two months were normal, okay I can do this, by month 5 I was unsure what to do. By habit, I needed a perm, but really, I didn’t! My hair began to coil when I washed it and I was just so fascinated by this change! Being that I’ve always gotten relaxers, I never knew my curl pattern- It was actually pretty cool! So, I decided to stay with it! The sew-ins remained my method for not relaxing my hair, which was good because I needed to keep them for the football season. 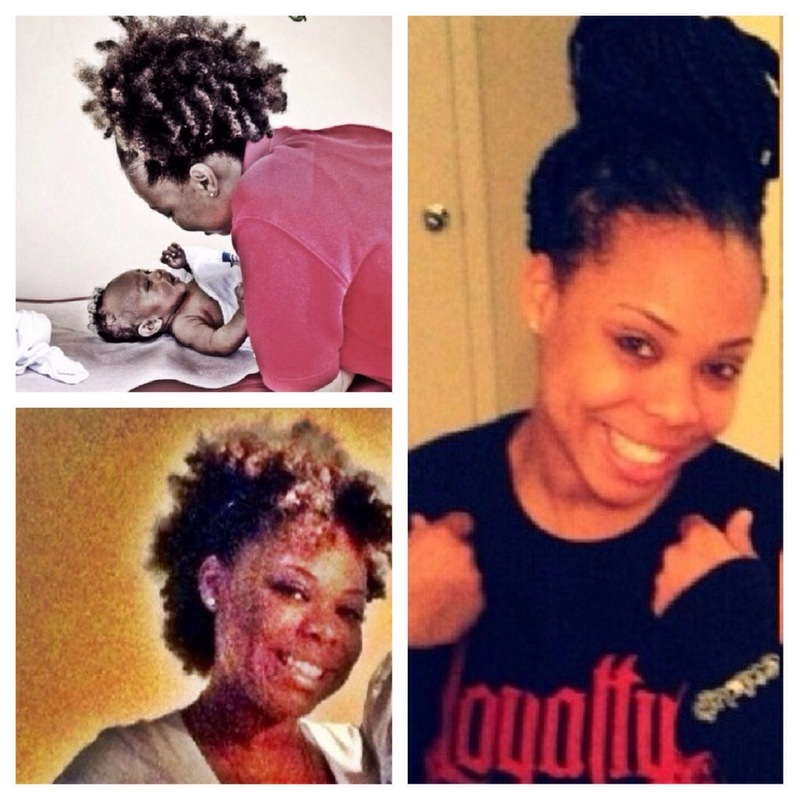 December 2013 marked a year of not having relaxers and my hair is a totally new mane. My hair is thicker, it growing a lot faster (beyond where my hair stopped with perms), and I am extremely content with my developing curls! So it seems to not have been a bad decision at all.